Once the fabric was cut, I selected pieces for each block (26 total) and began sewing. Lots of pieces for each block - 57 to be exact. Since the fabric has marinated for nearly five years, I'm not going to be in a rush to finish them. Ten completed, and all 12.5 inches square. Winter has been busy in central Wyoming - three back to back storms have dumped large quantities of the white stuff: 29 inches since Christmas Day. 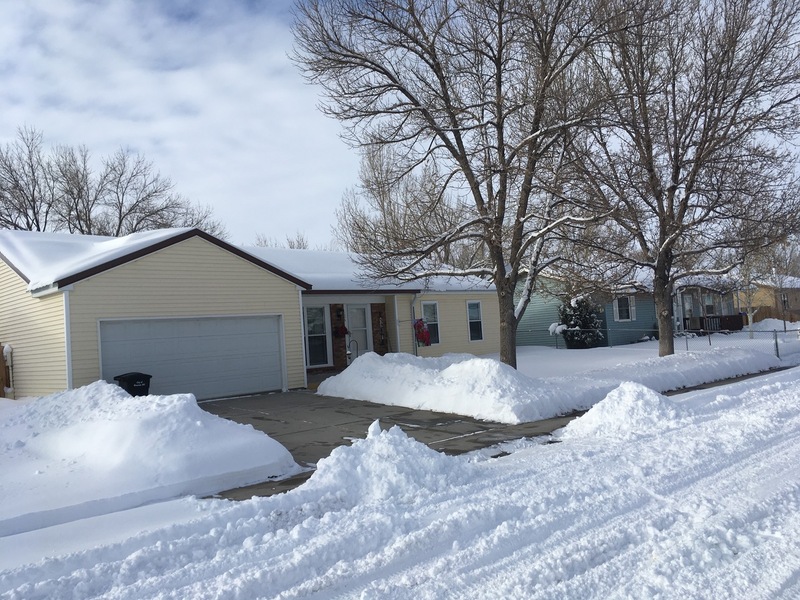 The latest storm dropped 9 - 10 inches, a record amount of snow for January. Typically, the snowiest month is March, so there is more to come. 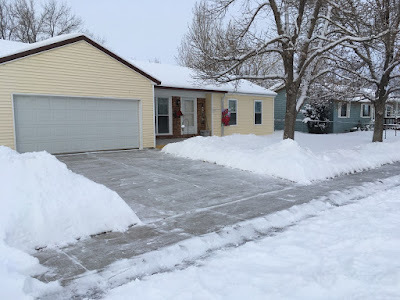 Winter's work kept me busy - shoveling and shoveling. 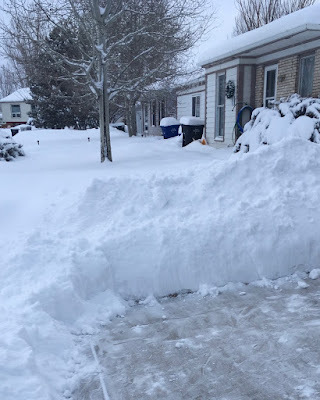 I hated to leave the piles in the street, but I needed to clear a path to get out of my driveway. Riverton is a small town (10,000 population) and has a small snow removal budget. 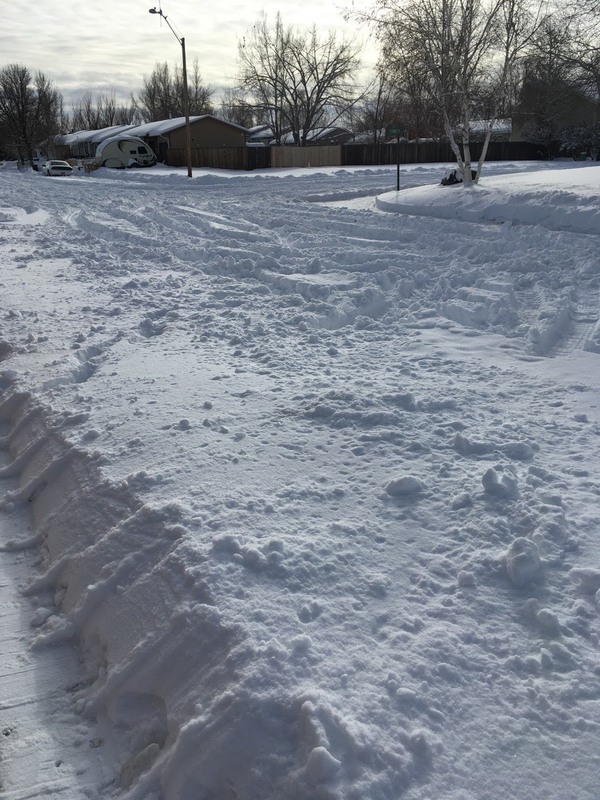 The city plows the main streets in town, but leaves the neighborhoods to fend for themselves. Needless to say, I didn't venture out much a couple of days after the storms. A seventeen hour power outage (January 7, 2017 - January 8, 2017) in-between storms made life even more interesting, but thanks to the linemen who had to endure winter's wrath to restore power, I am now cozy in a warm home. What have I been doing other than shoveling snow? 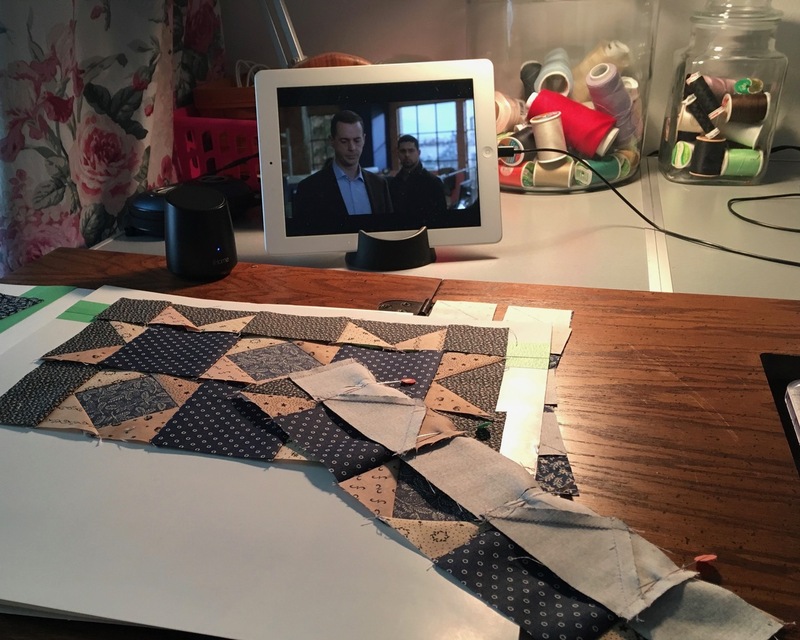 I've been sewing, knitting, listening to audiobooks, and watching Netflix. My winter's work is definitely more appealing to me than Mother Nature's variety. in the warmth of my house. Both my maternal and paternal grandparents were immigrants. They became productive members of the American society, learned the language from their children who learned it at school, and became American citizens. They had strong work ethics which they passed on to their children. Their descendants served in the military and worked in white collar and blue collar jobs. They were proud to call America home. Today's immigrants are no different - they want a better life, and they want their children to have a better life. America should not discriminate on those who want to start a new life, attend school, or have their family here. 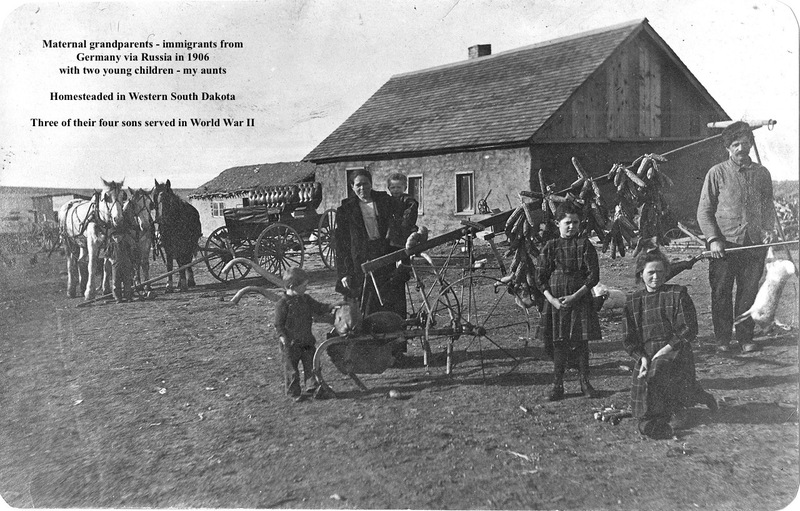 Today's immigrants or their descendants may become inventors, doctors, nurses, teachers, professors, farmers, business owners, etc. By turning them away, America is denying their dreams and possibly America's own prosperity. Update: This issue is not about illegal immigrants, it is about those who have already been vetted, issued green cards an/or visa. Many of the individuals who have bee denied entry for "extreme vetting" have already been vetted and have already been in America. Many currently have jobs or are students and researchers at various universities. If you support the Executive Order have you considered that other world leaders called the White House to educate the President and his staff about the Geneva Convention? Have you considered if you leave the country, that YOU may be denied entry? Saturday, Jeni (byScratch - etsy link) brought two crochet hook books to the Fiber Guild meeting. She was working on a prototype several months ago, so I asked her to bring a one to a Guild meeting when she had some made. Jeni brought two, and I bought both - one for me, and one for Sue. 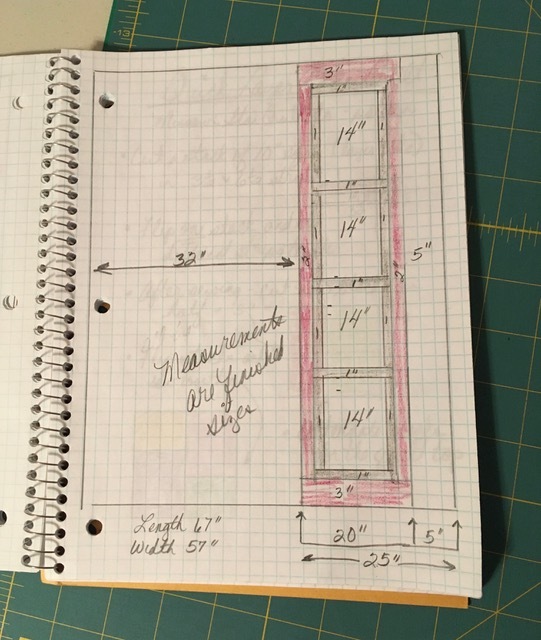 As a knitter, I have a few hooks, and I wanted a place to store and organize them. Last month, Julie gave Cheryl a gorgeous shawl/scarf - a Hitchhiker Beyond. Unlike the asymetrical Hitchhiker, this pattern is triangular and the "teeth" are the straight, neck edge of the shawl. I was intrigued and purchased the pattern on Ravelry. 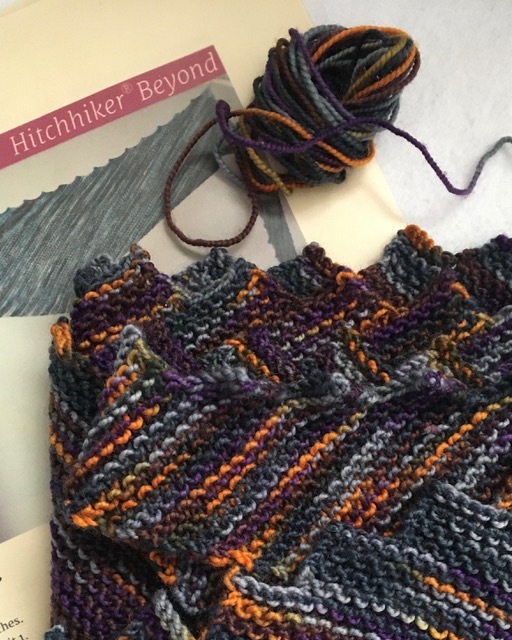 Hitchhiker Beyond was an evening project, and I listened to audiobooks while knitting. After two weeks of knitting, it came off of the needles last week. I haven't blocked it yet, so I'll post another photo when that's done. Notes: Trust the pattern: the designer knows what she is doing! 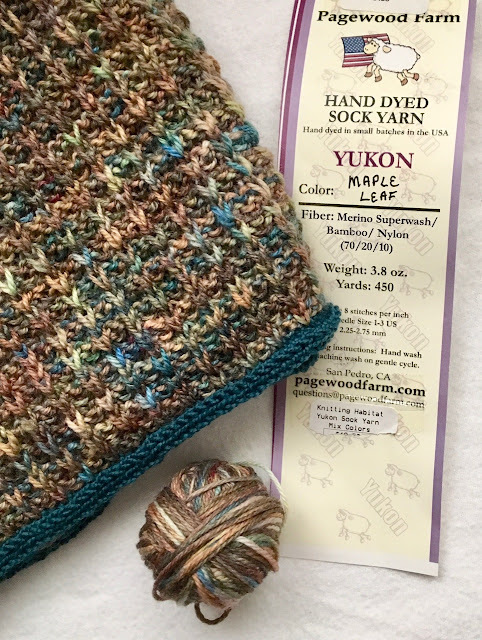 The notes on the pattern advised weighing the yarn before beginning; when a 1/3 of the yarn has been used, the decreases begin. I weighed and calculated and began knitting. I had 2 grams remaining. Weighing the yarn is important - don't trust the yarn label for an accurate weight. 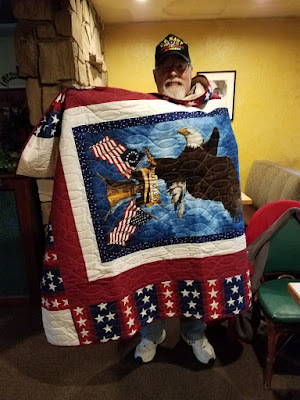 A couple of weeks ago, Kathy (Kathy's Fancy Stitching) sent an email. 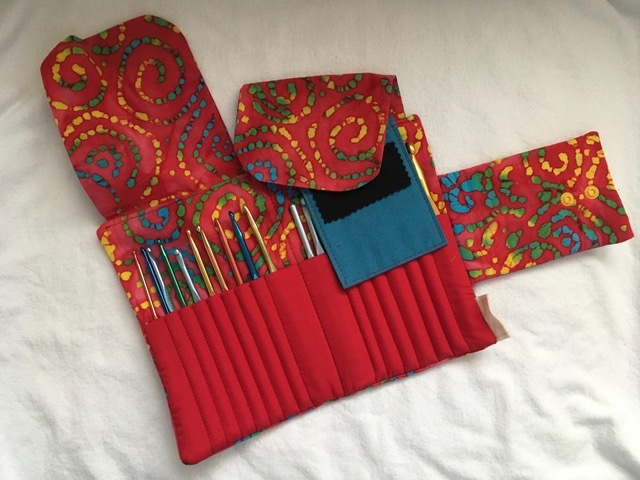 I hadn't heard from her in a long time, but we soon were chatting about the changes in our lives and crafts we have in common - knitting and quilting. 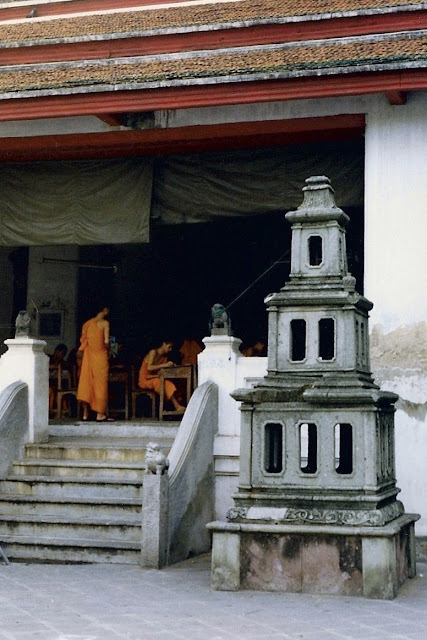 Kathy hasn't posted on her blog for awhile since her life has taken a different path: she is now a minister and has little extra time to post. 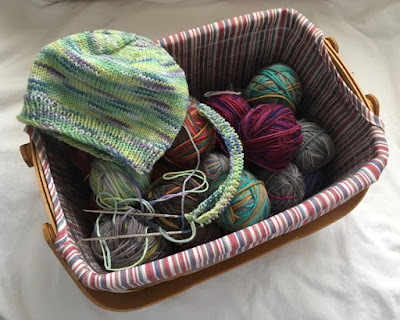 She asked if I would like another box of scrap yarn. I accepted her offer to make baby hats for Public Health. Several years ago, Kathy sent me a box of sock yarn scraps that I used to make short-cuffed socks and many baby hats, shown here, here, here. After winding the loose yarn into balls, I couldn't resist casting on and knitting. One hat is finished and another one started. I think there is enough yarn for about 18 or 19 baby hats. The nurses at Public Health will distribute the hats to expectant mothers. 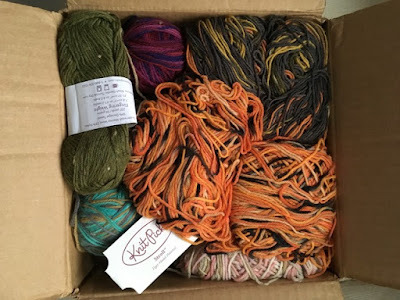 Thank you, Kathy for reconnecting with me and for the scrap yarn bounty you sent for the babies. I wish you well in your new calling. God bless you in your ministry. 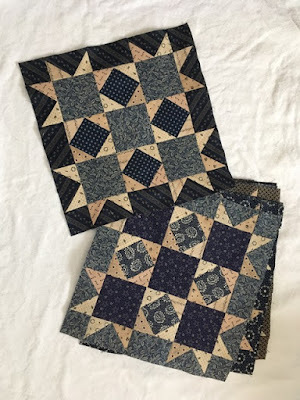 Last week, I decided it was time to begin the Tavern Blues quilt. 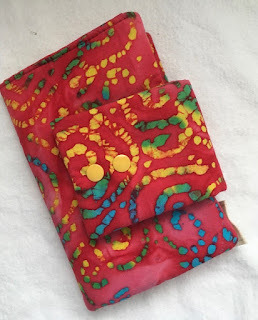 You may remember an earlier post about the fabric I amassed for this project. I am happy to report that I didn't purchase an overabundance of dark colors since the pattern required 13 different dark colors. 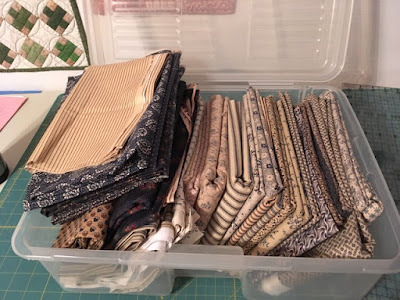 Most of the fabric that will not be in the quilt are mediums and lights. While they will not be in Tavern Blues, they will be put to use in other projects. I don't know why I delayed so long in starting this quilt. Sewing has begun: photos will be posted later this week. To some it may seem like a little thing - the coining of a phrase to describe falsehoods, but I draw the line when that phrase is being used to defend a person who is officially speaking for the American President. The position of White House Press Secretary or Presidential Spokesmen should not be taken lightly, and the words spoken at an official press conference at the White House should be the truth, not lies or falsehoods or "alternative" facts. The American people should demand the truth be spoken at that podium EVERY SINGLE TIME. The press corps' job is to ask tough questions, and it is the Press Secretary's role to answer them truthfully. 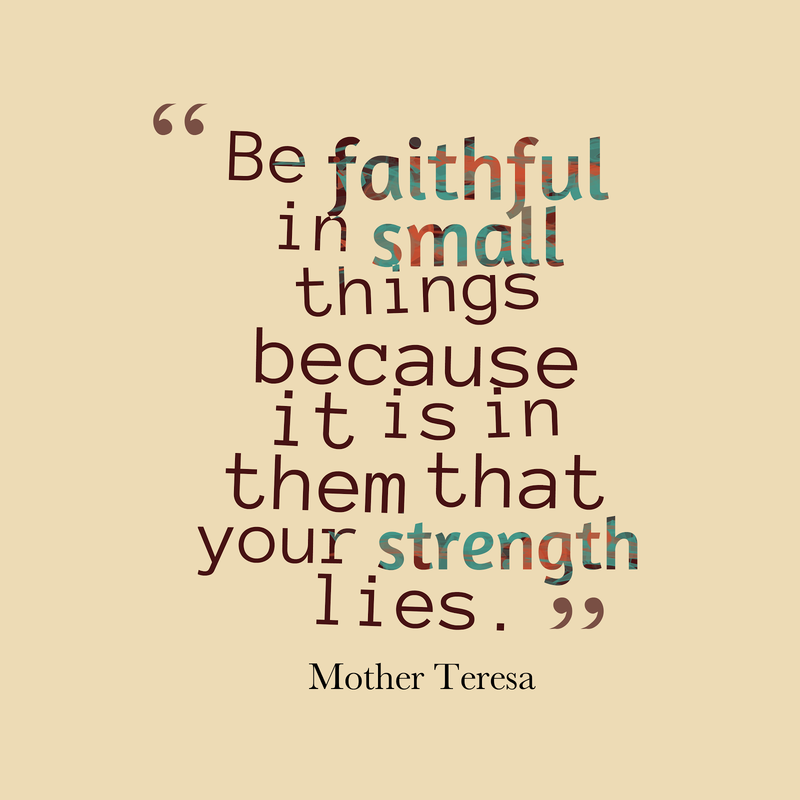 Trust is built on credibility; credibility, on the truth. I admire Chuck Todd for holding Presidential Spokesman, Kellyanne Conway's feet to the fire on Meet the Press. Every American citizen whether they supported this president or not should be outraged when anything less than the truth is presented by President Trump, his cabinet, or his spokesmen. The world is watching our new President and his cabinet. The world is watching the American people. The world is watching the American press. Our republic and our values are being tested. "Alternative" facts from the White House cannot be tolerated nor should Americans be asked to tolerate them. 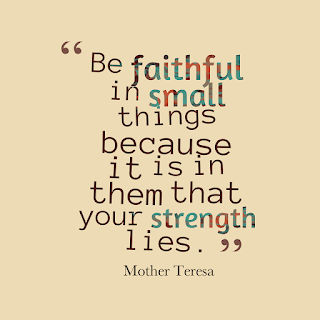 Once we turn a blind eye to the little things; they gradually become big things. "Alternative facts" are NOT little things! 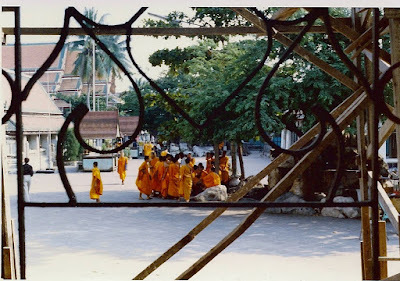 Last week's photo prompted some questions about the young monks, so I checked my travel journal to see if I had written anything about them. 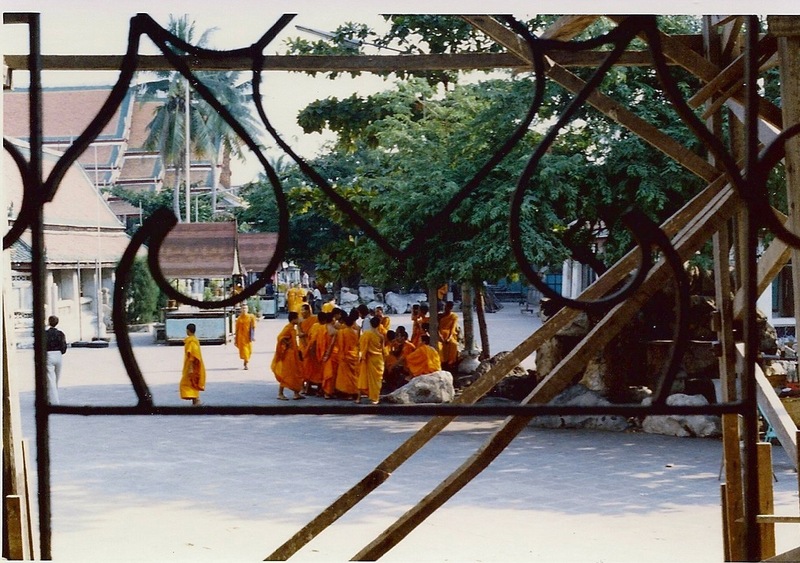 According to our group's tour guide in 1979, every Thai male was required to become a monk for three months. They were also required to serve in the military for three years. I don't know if these are still requirements. Scraps from earlier Quilts of Valor were used to make the blocks for Road Less Travelled. The block arrangement reminded me of Robert Frost's poem. When a flat package arrived in the mail, I was puzzled because I hadn't ordered anything. I'll admit that I had checked out the website a couple of weeks before that, but my finger didn't hit the "Order" button - not yet. I planned to order after Christmas. The gift package was a complete surprise, and I pondered who the mystery buyer could be. I saw a large print of the painting at the Nativity Walk that I attended with Sue in early December. I marveled at the image and sent a photo to Kristi (Thankful Me) when she commented that the Nativity Walk sounded a lot like the one her church hosts. 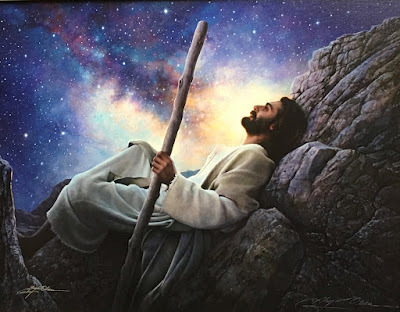 Kristi told me the name of the painting and the artist, which is what directed me to the website where my finger hovered over the "order" button. Pondering who sent the mystery gift, I came to the conclusion that it must be Kristi since she is the only one who knew specifics about the painting. After I thanked Kristi in an email, she confirmed that the print was from her. 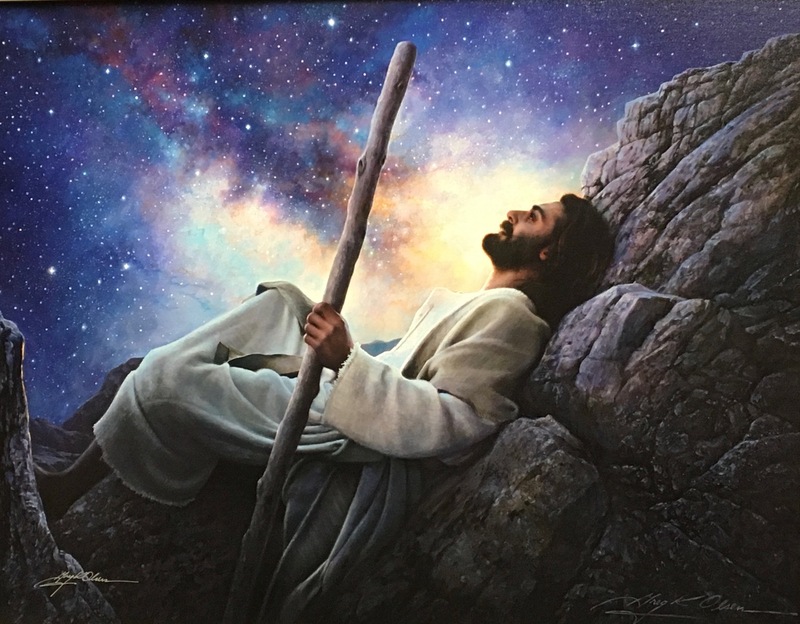 This print reminds me that the mysteries of the Universe are not mysteries to God and that He marvels in them and in us. Kristi, thank you again for the print, Worlds Without End. I keep a project in my Tuesday Night Knitting bag: an easy project that doesn't require a lot of attention, so I can chat. Currently, my project is using the Zombie BBQ yarn that Ellen gave me last March. 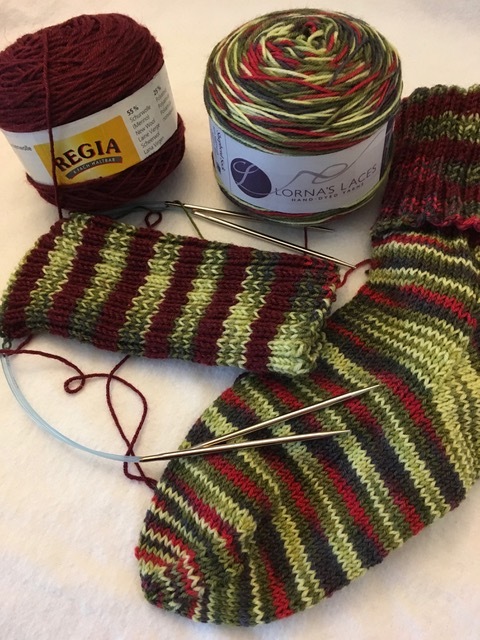 Since I only work on the socks on Tuesday evenings, they aren't progressing very fast, but they are fun to knit. Thanks again for this fun yarn, Ellen! 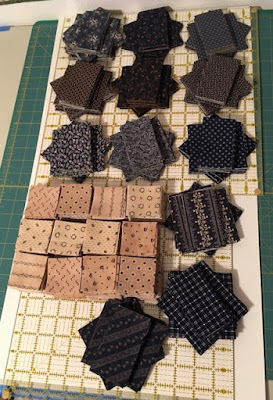 I don't like reinventing the wheel and wasting time trying to find block patterns on my laptop or iPad even though both have an extensive selection of patterns. If I like how a block looked on a quilt, I usually add it to my Quilting Sketchbook. 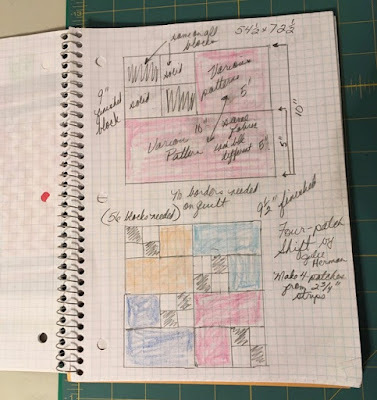 I also sketch layouts that worked for feature blocks. 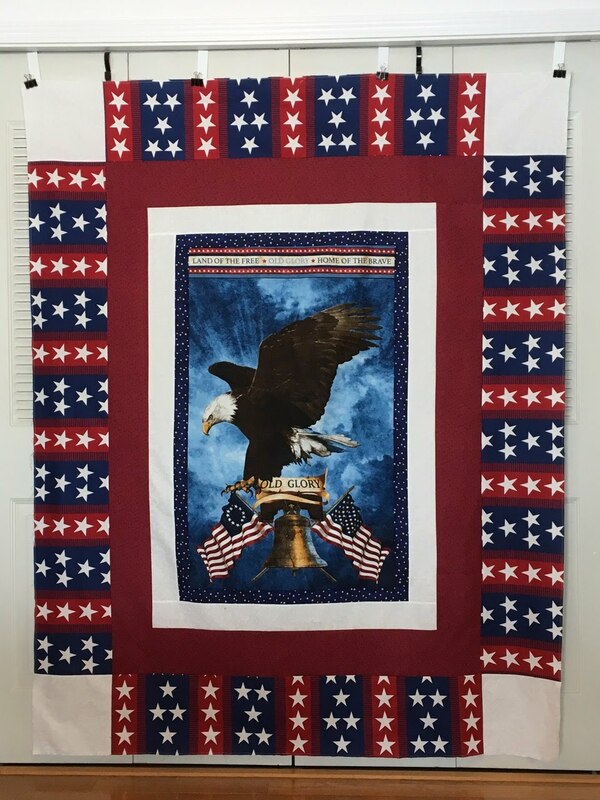 Last week, I cut several red, white, and blue scraps for this block to make another Quilt of Valor. 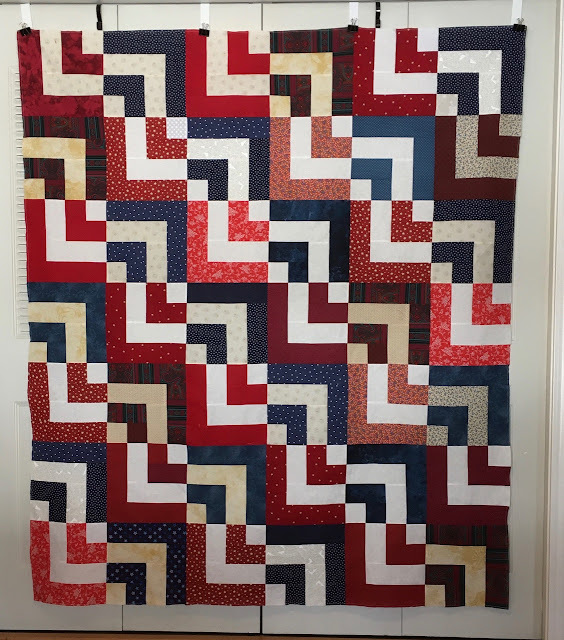 Since this is a 10" block when finished, I made 21 with red and white scraps and 21 with blue and white scraps. 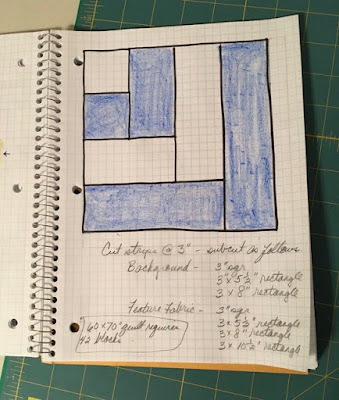 Because the pattern worked great for scraps, I added it to my Quilting Sketchbook. I'll use the pattern again when the scraps get out of control. Do you keep a book of notes for the patterns you like and may use again? Liberty was made with the final patriotic panel in my stash and the end of the patriotic "cheater" fabric. 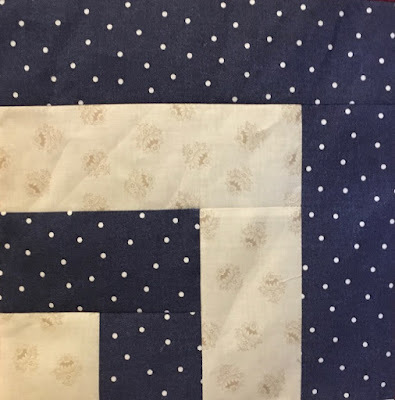 Since I didn't have enough of the star border fabric, I added white blocks to the corners. Liberty was awarded to a Vietnam Veteran (Alex C.) from Montana on March 29, 2017. Sharon L. of the Lewis Clark QOV group said, "Alex was very moved and ask me to thank everyone associated with QOVF. He said we have made his day, week, month and year." Last week, I posted a photo and some memories of the Circle K Extension club. 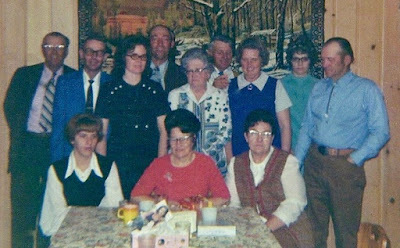 Today, I'm sharing a more recent photo (probably from the early 1970s) of a Christmas dinner the group held at a local restaurant. 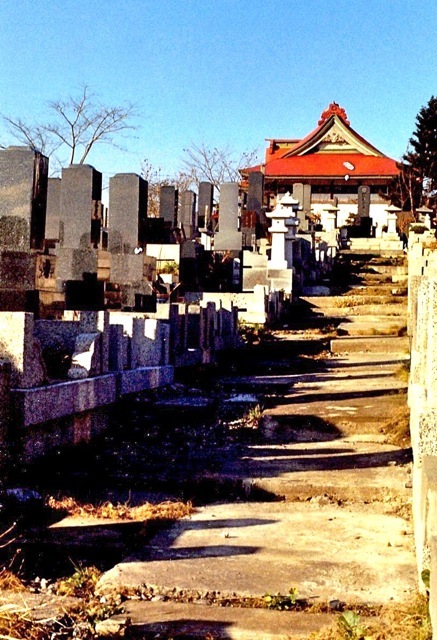 These couples were neighbors and friends for many years. Oscar and Naomi Lund owned the grocery store in Kinnear for many years. At the rear of the store was the local post office, and Oscar was the postmaster. Naomi worked at the store and also gave piano lessons. Oscar was quite a jokester and had a booming laugh. Nils and Karen Gabrielsen lived down the hill from my Mom and also had a dairy farm. Nils parents Gabe and Mary lived there before Nils and Karen took over the farm. Both Gabe and Mary were deaf, but Mary and my Mom visited often by "finger writing" on the kitchen tablecloth. Nils and my brother Rich were the same age, and they spent a lot of time running around together. Barbara and Bob Rohn also had a farm in the immediate area - about a mile northwest of my Mom. Besides farming, Bob also drove school bus, and Barbara (my cousin) later worked in the school business office. Since Bob and my brothers were close in age, they chummed around together while growing up and probably got into a lot of trouble, too. Harold and Alma Schmit lived and farmed a mile south of my Mom. Their son, Marvin now runs the farm. I always remember the loving care Alma had for her aging mother-in-law. Art and Lydia Rohn lived and farmed a mile east of my Mom. Lydia was one of my 4-H leaders and Art worked for Midvale Irrigation. 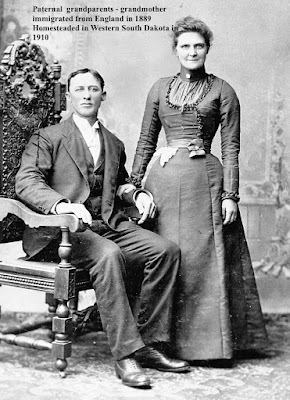 They were Bob's parents. One of my best friends in school was their daughter, Cathy. 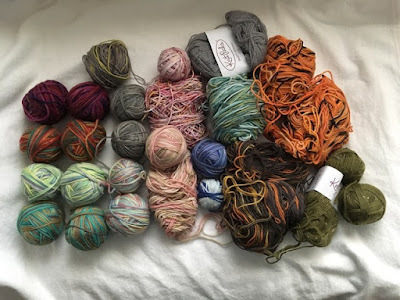 I'm gradually working to reduce my yarn stash. I enjoyed knitting the Project Peace Cowl so much that I made another one from some multi-colored sock yarn. Eight grams of yarn remain: I'll add it with the i-cord yarn to knit a baby hat one of these days.